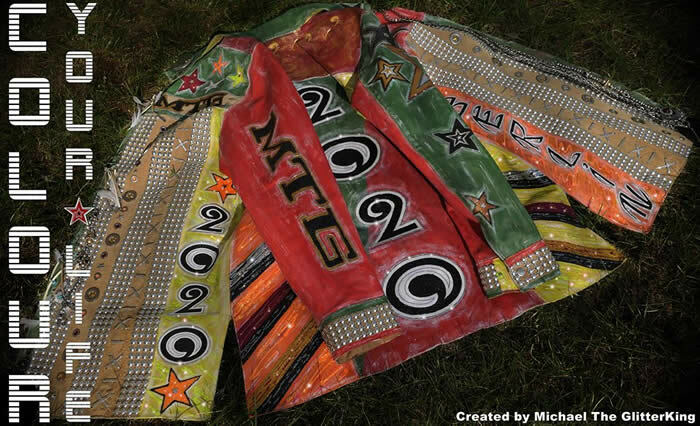 A new wearable artwork is born ( April 2019 ) A regular wild leather jacket transformed into a piece of art! 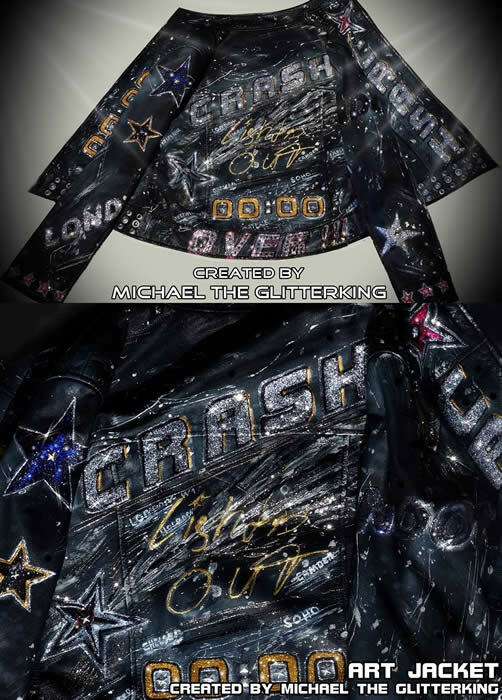 CRASH - a story of a comet going down in London, hand painted by Michael The GlitterKing. 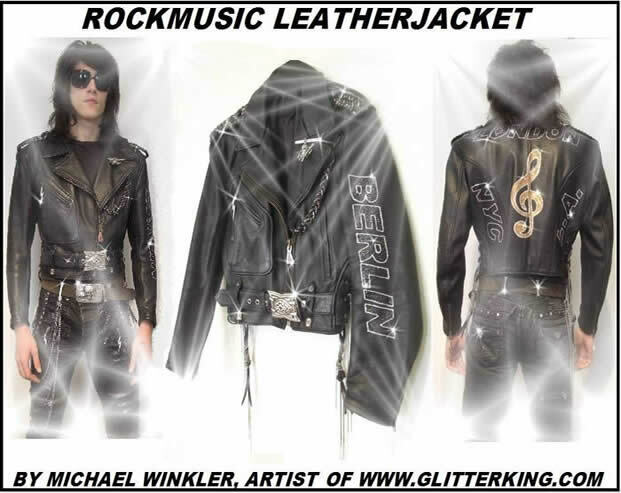 German platinium singer Nena worn this jacket in a major TV show " 40 years of Nena "
From October to December 2018, The GlitterKing will do several photo & video shoots. 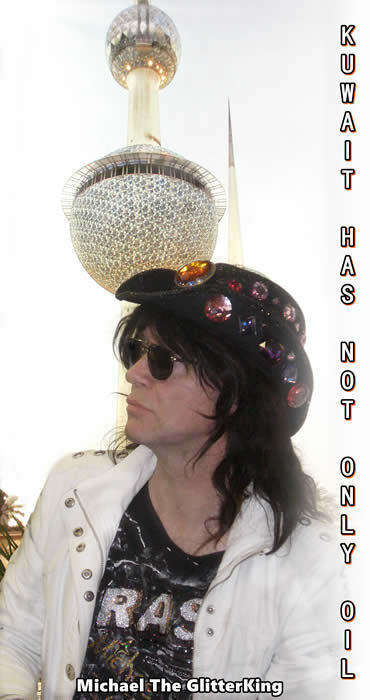 Thank youuuu very much for all your birthday greetings!!! 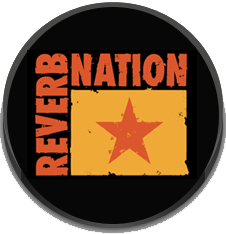 Euro Pop Contest In Berlin ... 23 / 24 / 25 November 2018. 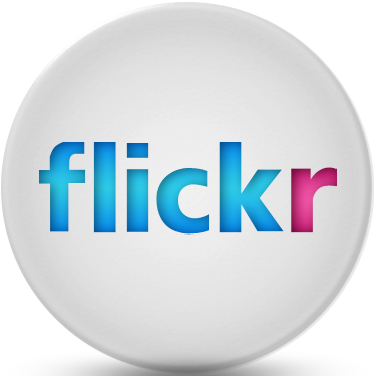 I`m one of the jury members again! 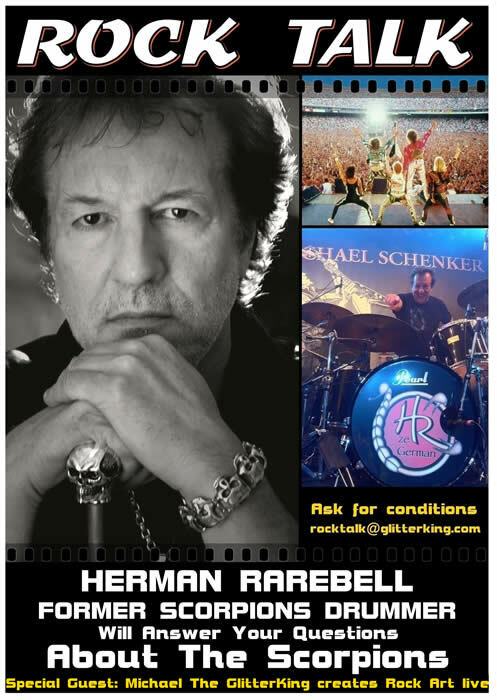 Rock Wolves - The band around the ex Scorpions drummer Herman Rarebell recruited Michael The GlitterKing as house - photographer. 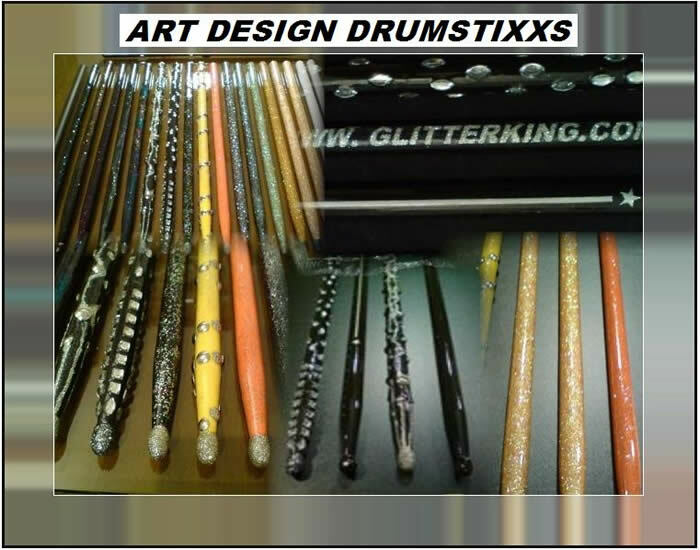 NEW ARTWORKS FROM 12 July 2017 here on glitterking.com: Caps, Pants, Bling Boots, Glitter-Pictures and more. 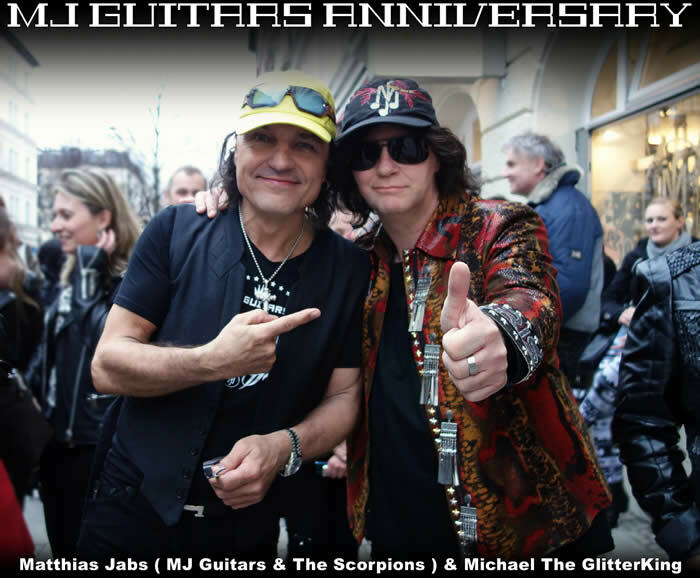 Matthias Jabs ( MJ Guitars & The Scorpions ) and Michael The GlitterKing...Party at the 9th anniversary of MJ Guitars in München...last Saturday! 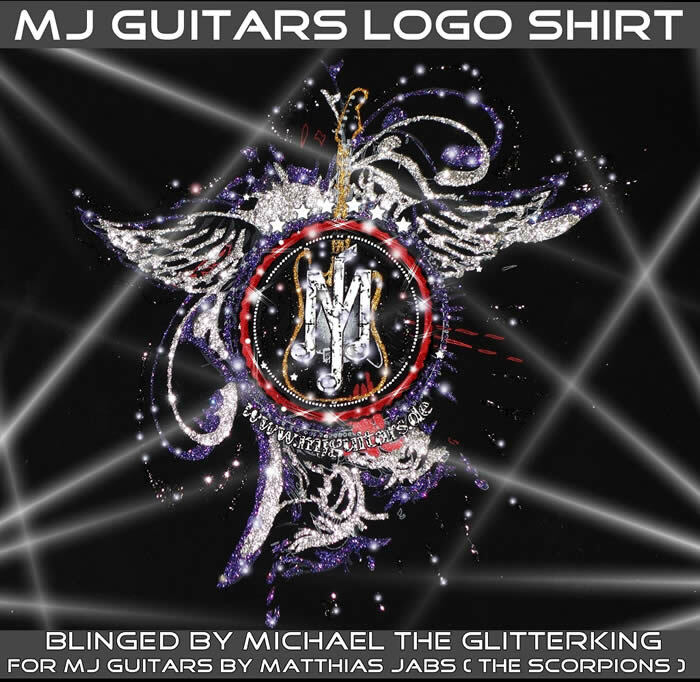 are available at www.mjguitars.de now! 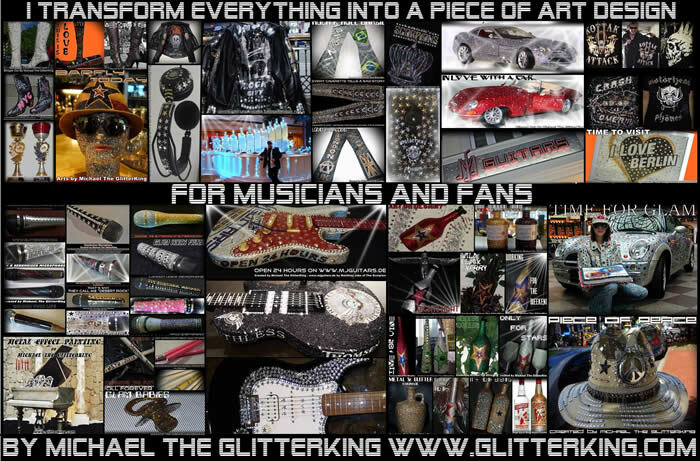 Michael The GlitterKing creates cool stuff for musicians, also stage wear and more. 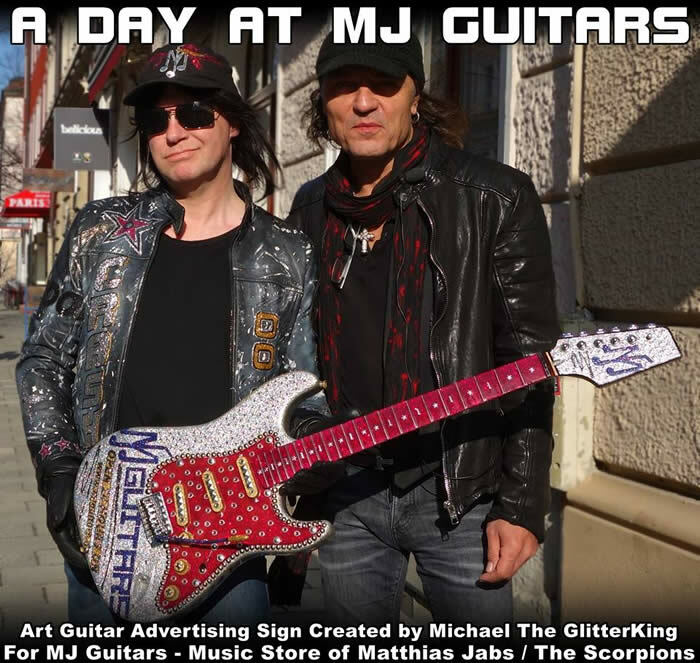 the guitar store of Matthias Jabs of The Scorpions. 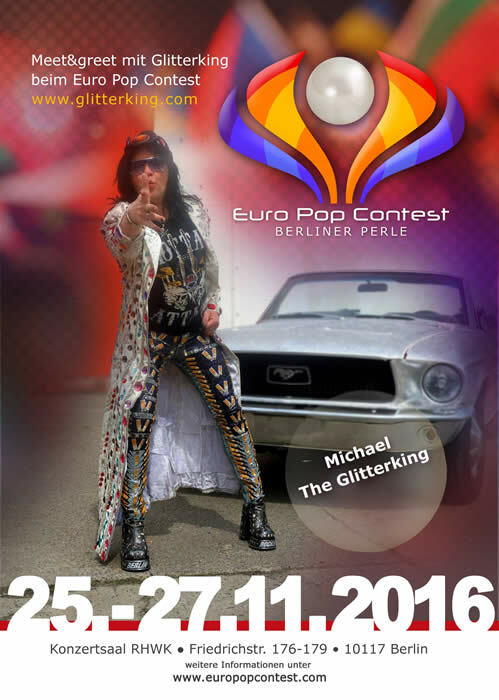 Michael The GlitterKing as a jury member at the Euro Pop Contest in Berlin, November 2016. 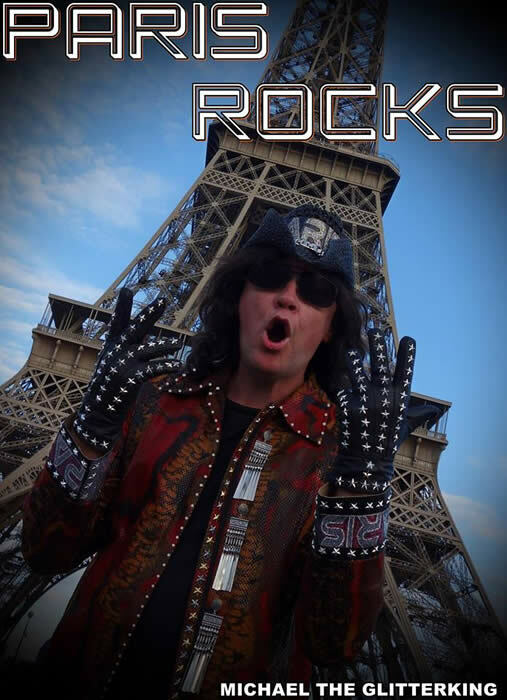 Back in Paris for interviews in November 2016...see you there. 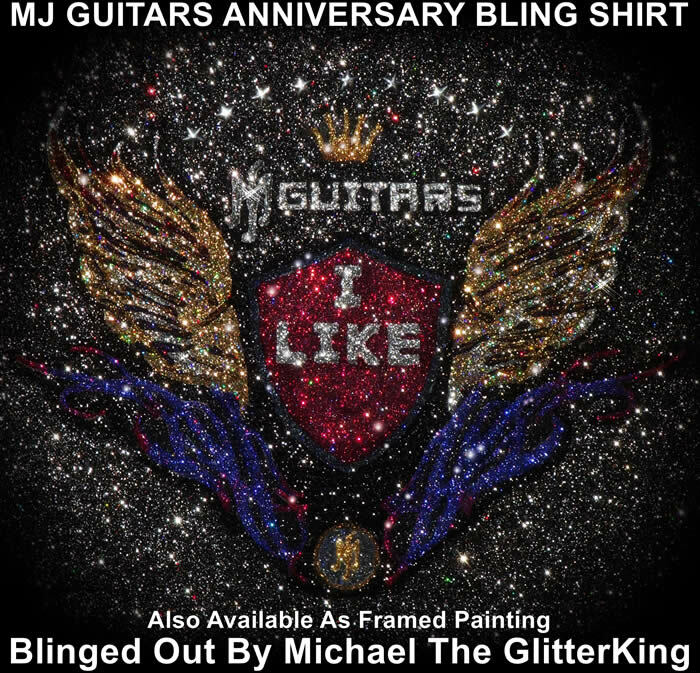 This art guitar is an advertising sign for one of the shop windows of MJ Guitars, designed by Michael The GlitterKing. See you there on 8th anniversary ( 15 march 2016 ). 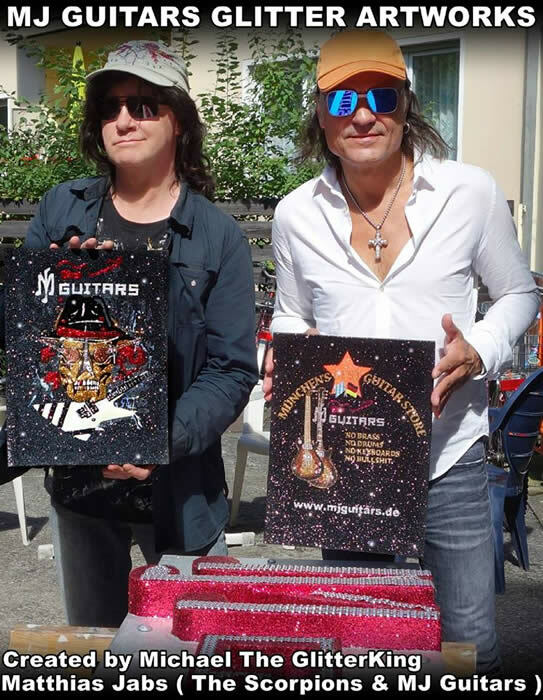 Matthias Jabs of The Scorpions, owner of MJ Guitars, is also there of course. 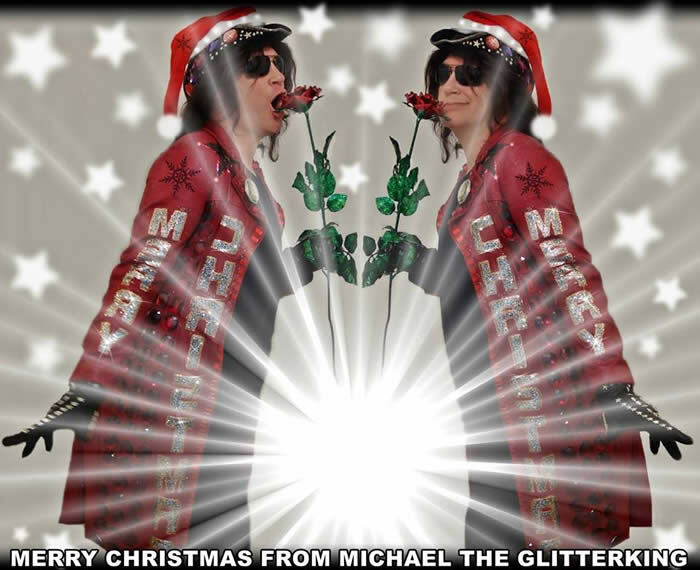 Merry X-Mas 2015 from Michael The GlitterKing!! Back to the Orient next year 2016! 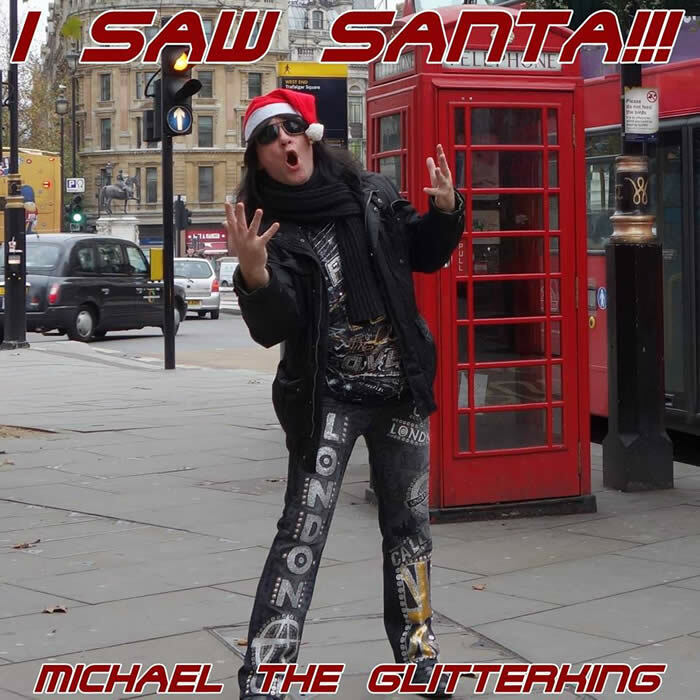 One more article about Michael The GlitterKing. 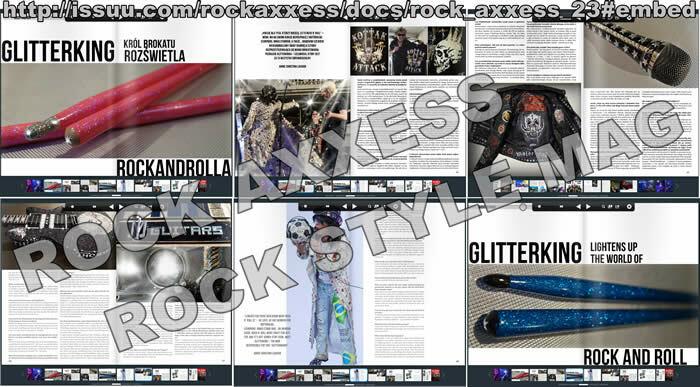 6 double pages in a magazine called Rock Axxess - Thank you very much! 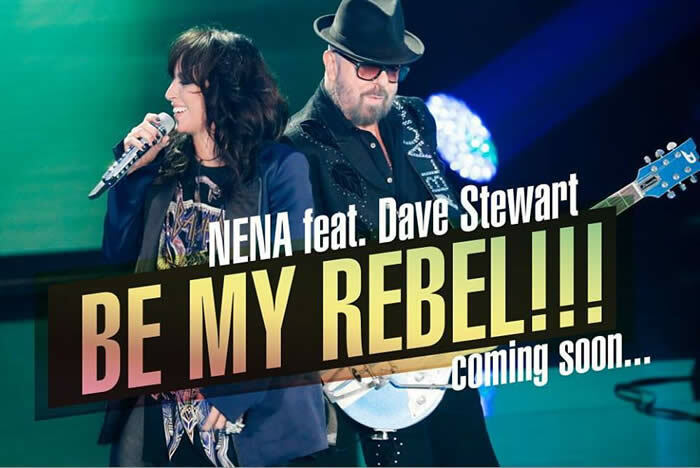 In February, The Glitterking transformed a Sennheiser SKM5200 into a piece of art for a german pop star called "Nena"
Meet me in London / UK 2015...several dates...stay tuned! 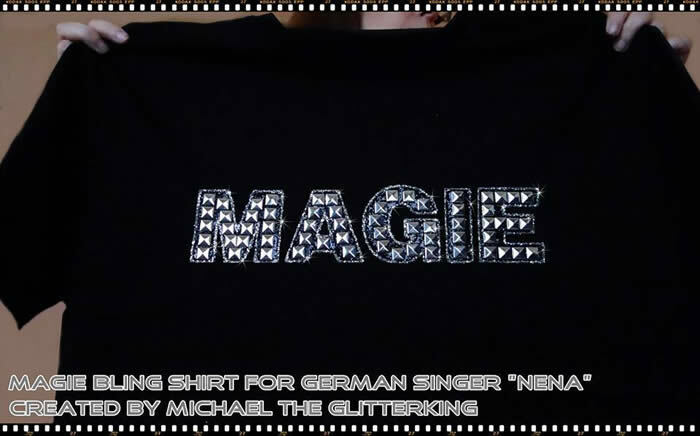 and you have the chance to win a signed "Acoustic Fever bling Shirt" made by Michael The GlitterKing. 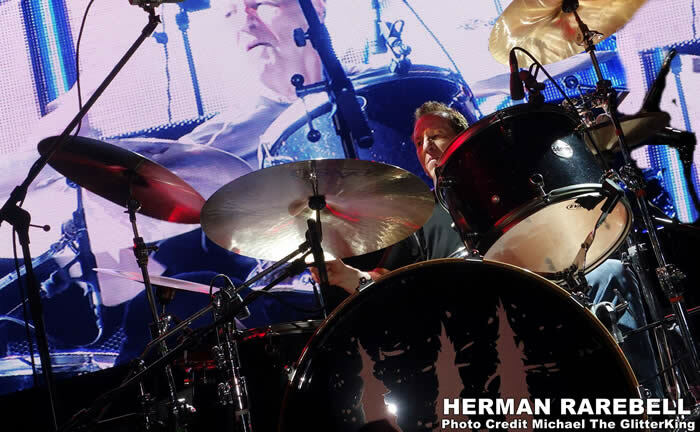 Let`s work a little on the sound and some more cool effects...and look for interview partners soon talking `bout "Art & Design In The MusicBusiness"
Ex Scorpions Drummer Herman Rarebell will answer your questions about The Scorpions. 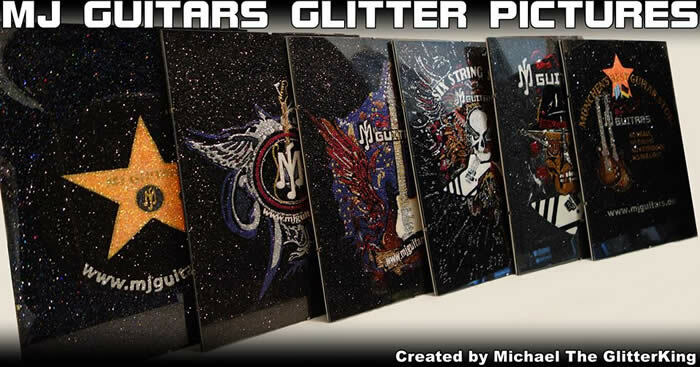 Special Guest: Michael The GlitterKing, he creates Rock Art live! 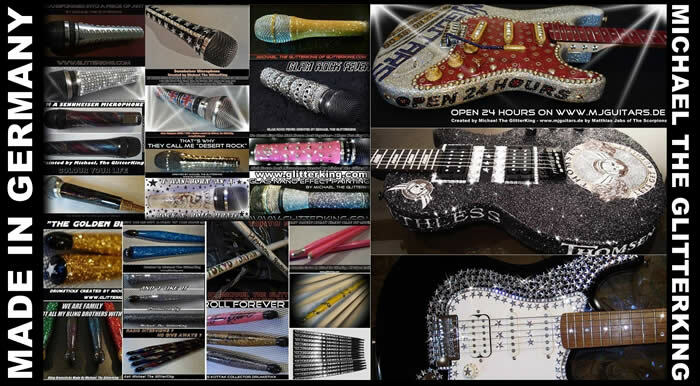 Glam Rock Fever, GlitterKing`s latest microphone creation. 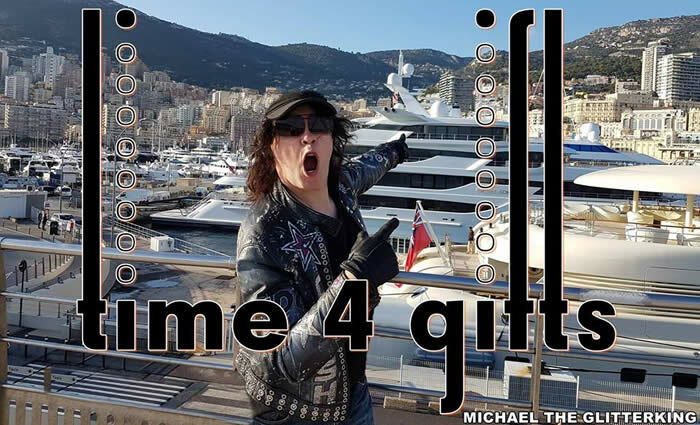 Michael Schenker Group ( MSG ) is back from on Japan Tour 2014. 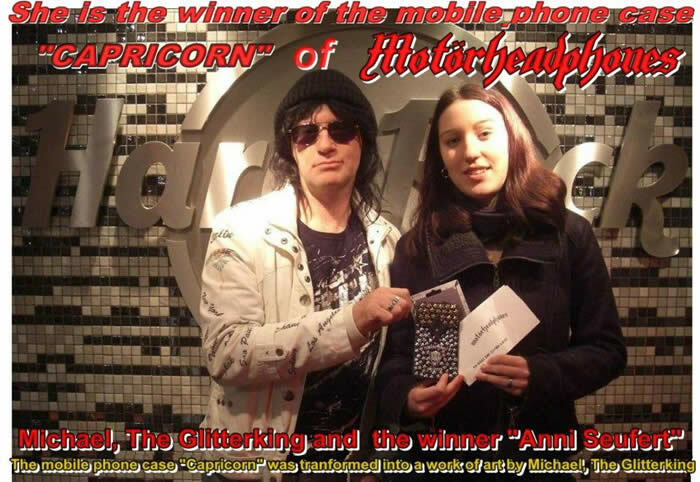 The Winner of the Tokyo Stixx, produced by Michael The GlitterKing and signed by drummer Herman Rarebell ( Ex Scorpions ), is Andrej Popov. 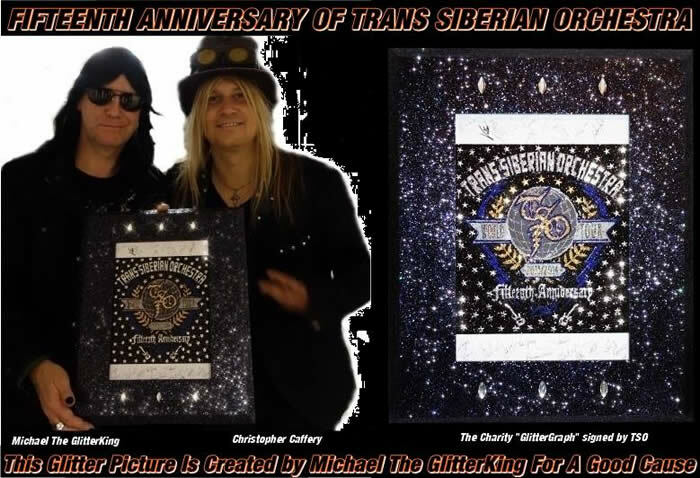 Skype with Michael The GlitterKing......follow the link - click on the photo. For 123 years, the Electorate of Hanover and the Kingdom of Great Britain were linked by a single monarch. "The Hanoverians on Britain’s Throne 1714 – 1837". 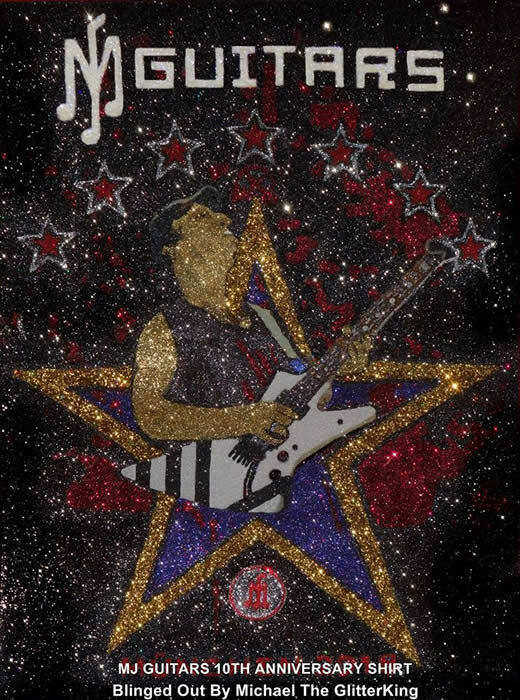 Michael The Glitterking created this artwork for the 300 anniversary celebrations. 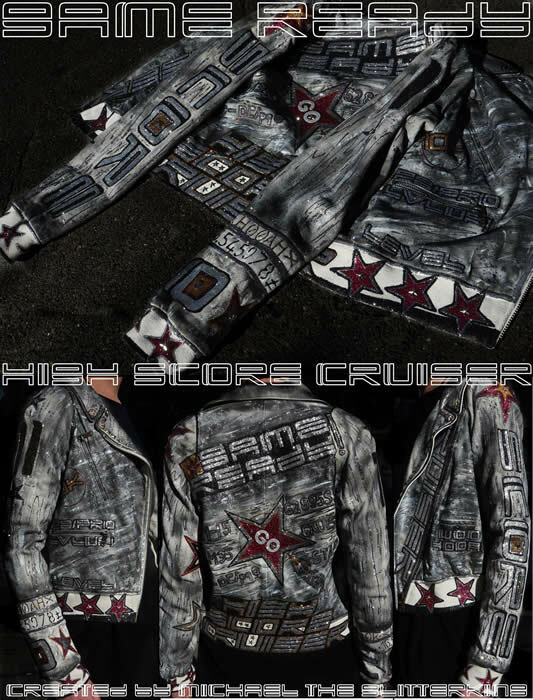 Michael`s brandnew hand painted CRASH shirt is back from the white nights festival in Saint Petersburg. 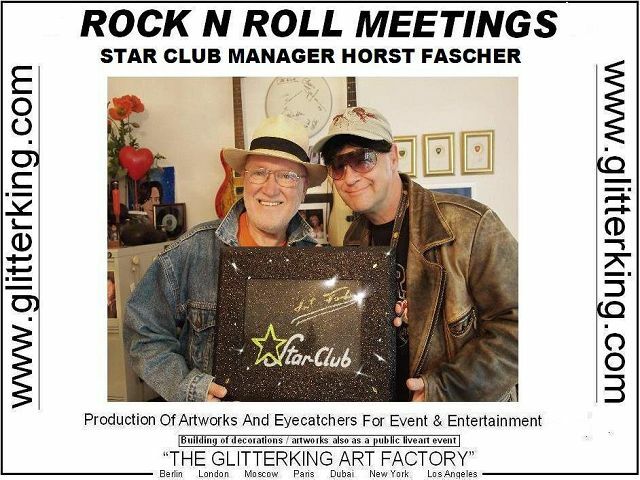 Was a very blingy eyecatcher onstage...the singer of the Rockband "Unbreakable" worn that artwork. Motorheadphone Bling Shirt! Signature by Motörhead Drummer Mikkey Dee. 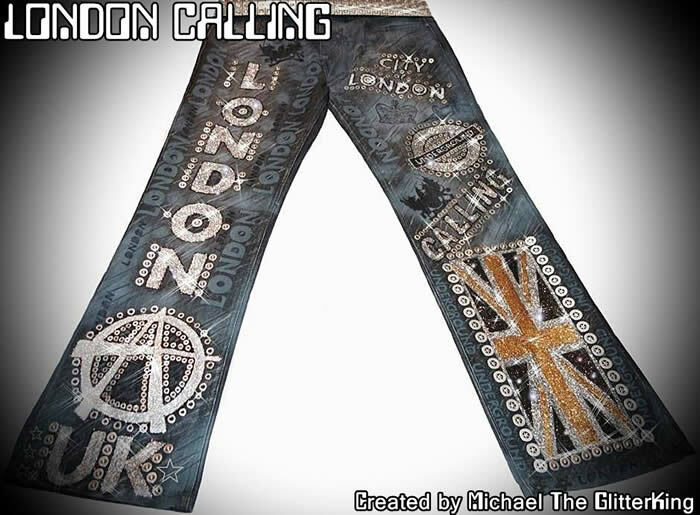 Hand painted by Michael The GlitterKing. 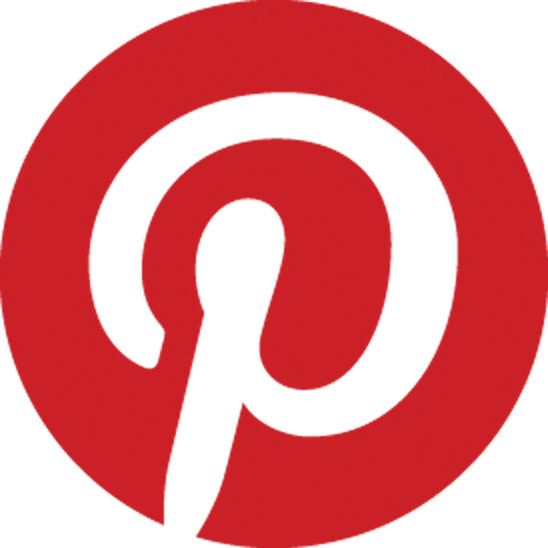 You can win the shirt end of 2014...stay tuned! 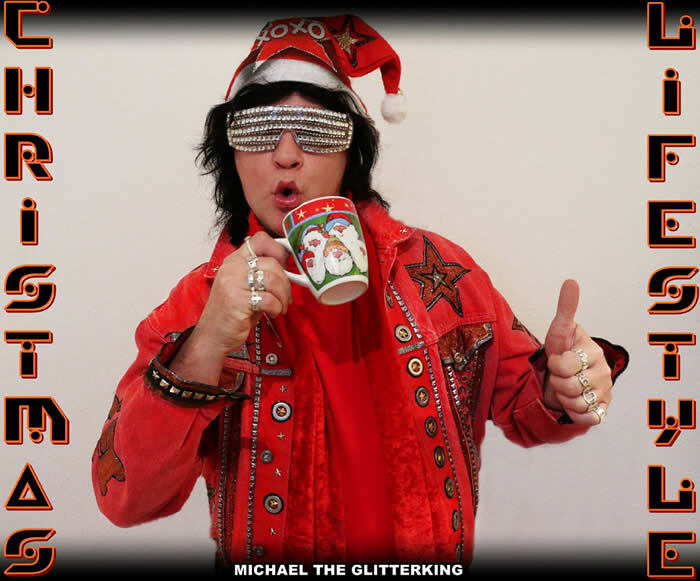 Michael met Rudolf Schenker of The Scorpions at one of the Christmas Events in December 2013. 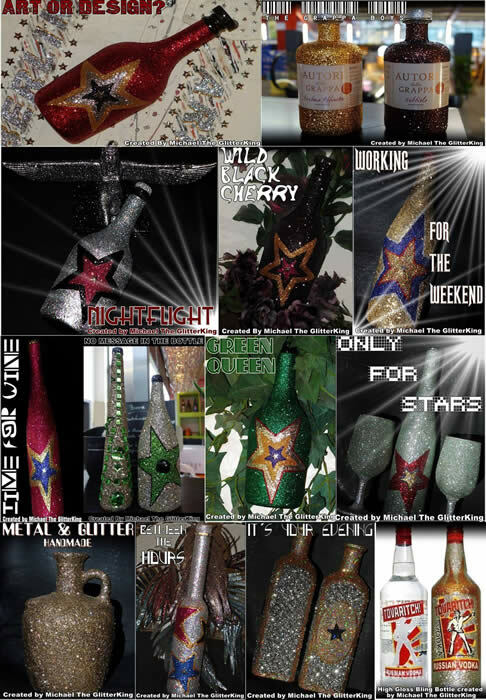 Michael worked his art in Rudolf`s house. 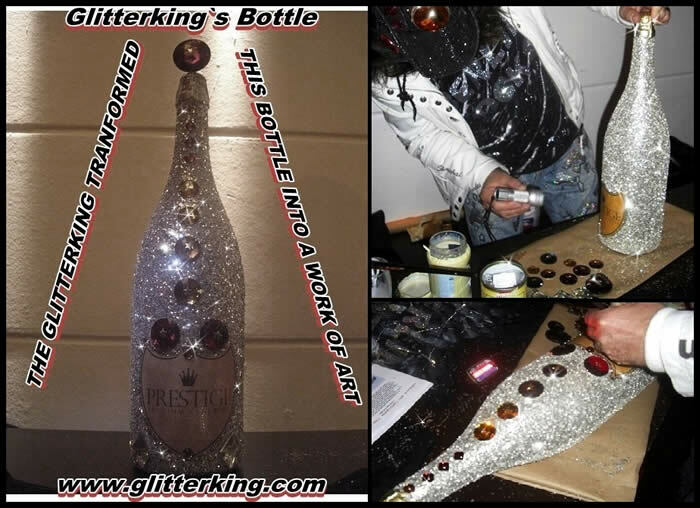 On 5th of September, Michael transformed a champagne bottle into a work of art in one of the biggest clubs in Berlin. 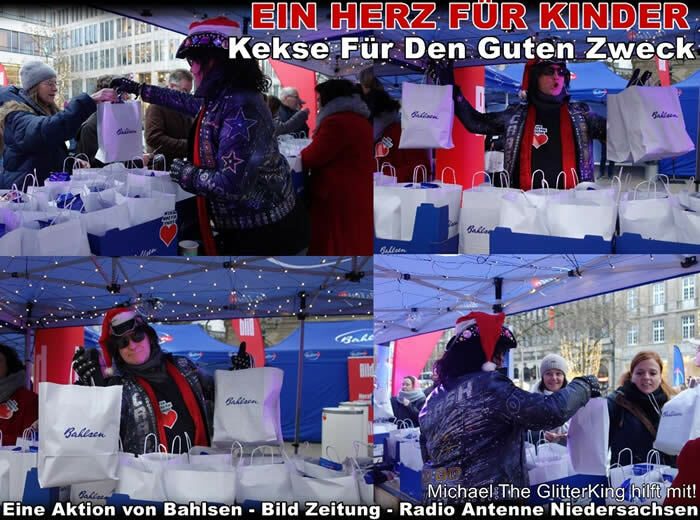 18 August 2013 in Hannover: Michael, The Glitterking was invited to the "Ascot" horse racing days, organized by "Audi Automobile"
On August 4th, 2013, Michael attended the award ceremony of the Stars n Stripes Festival in Berlin / Germany. 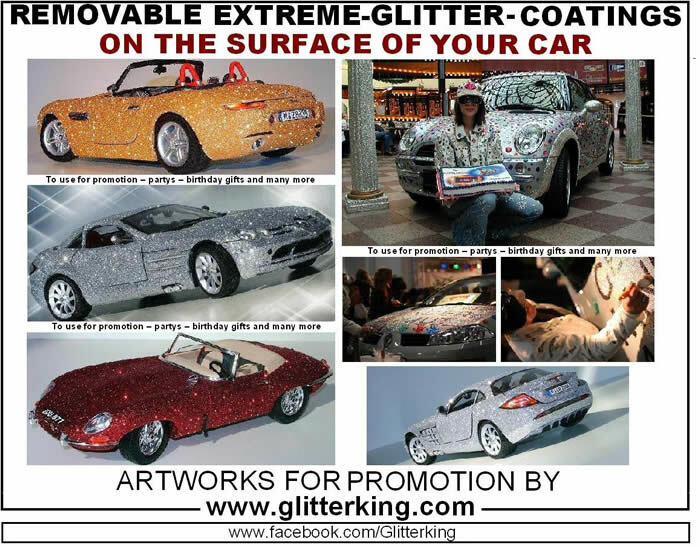 The Glitter King supported the show with his glitter cannons and checked the car paintings. 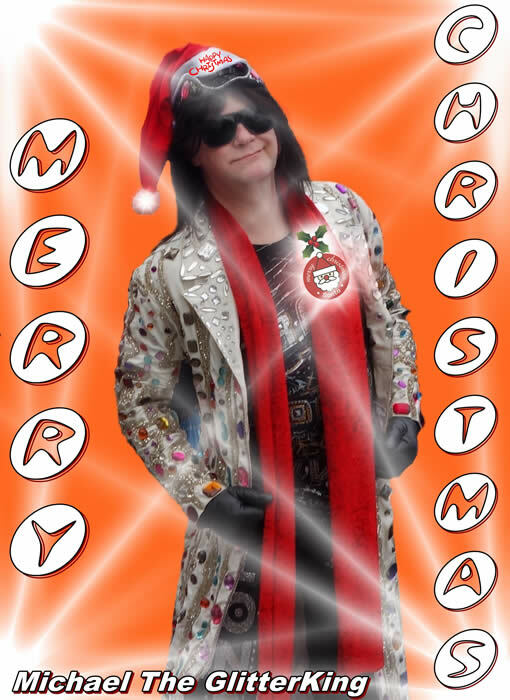 The King Of Bling, Michael The Glitterking and Star FM Rock Radio found the winners of 3 lavish bling shirts, created by the King of course! 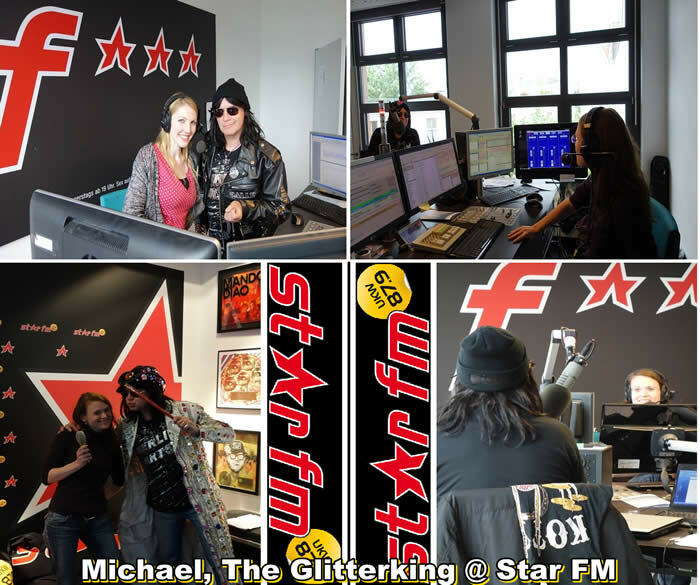 Glitter King`s Interview at Star FM Rock Radion in Berlin on 1st August 2013. 53 German American Folksfest in Berlin 2013 opened by the US Embassy & the Organizers. 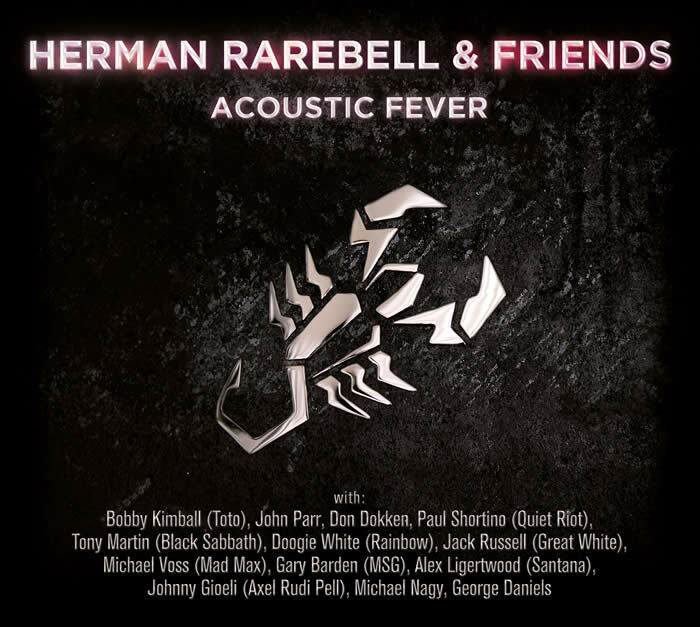 Bobby Kimball ( Voice of Toto ) Alex Ligertwood ( Santana ) Jack Russel ( Great White ) Don Dokken and many more singing on this album. 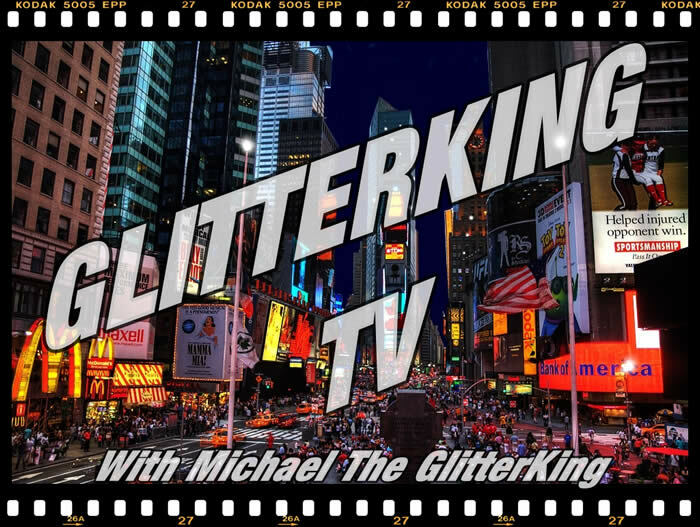 Michael, The Glitterking created the small official video-trailer and help with the promotion. 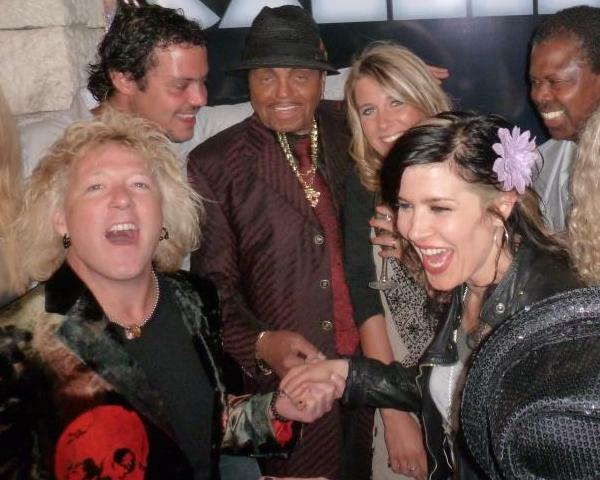 The Glitterking is currently at the Cannes FilmFestival / Cote D´Azur. 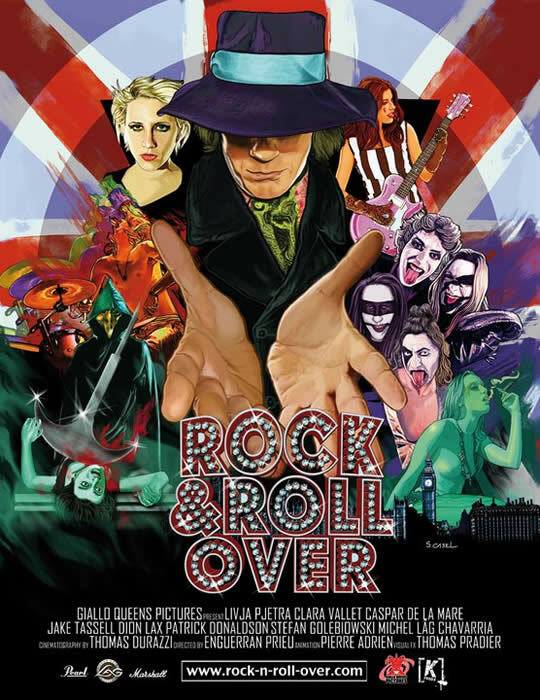 On 18th May 2013 is the presentation of the movie "Rock n Roll Over". 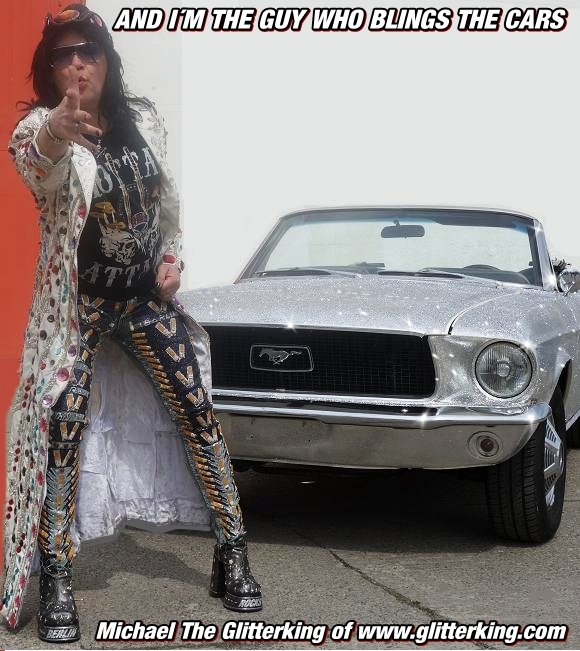 I blinged the rims of a 12 meter long strech car in Hamburg / Germany from 1st up to 3rd february 2013 ! I bought a 3D Videocam. If you are in Berlin give me a note. 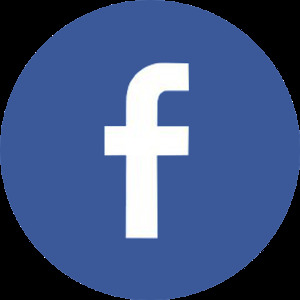 If you would say a funny sentence about this city, I will record it, post it in facebook and you will get a the 3D copy. 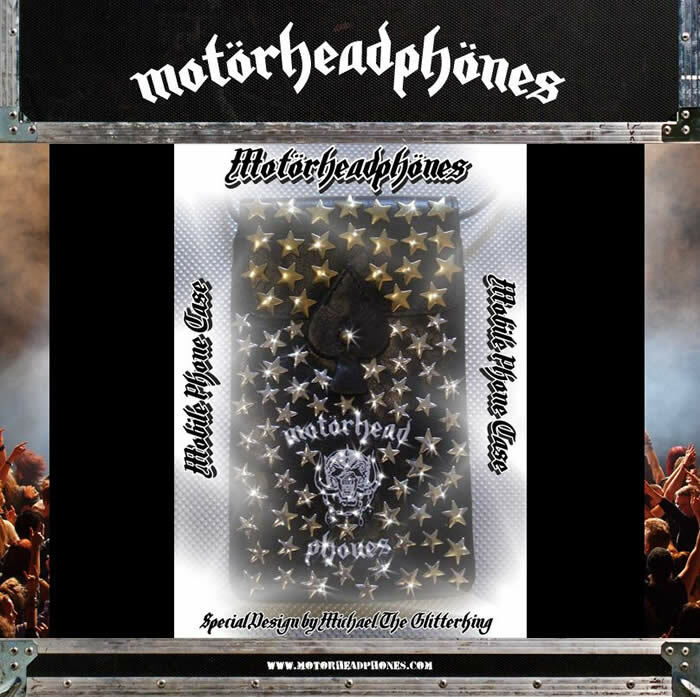 FOR MOTORHEAD`S "CAPRICORN" MOBILE PHONE CASE!! 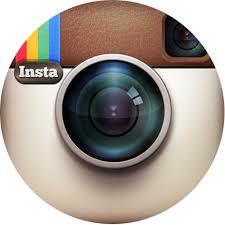 once again - congratz to ya!! 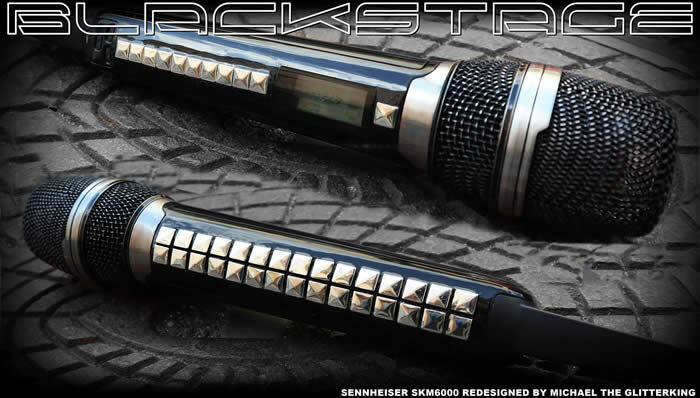 You sure will be rockin the streets wearing this babe! who had Birthday and created this brandnew Airport eventlocation. 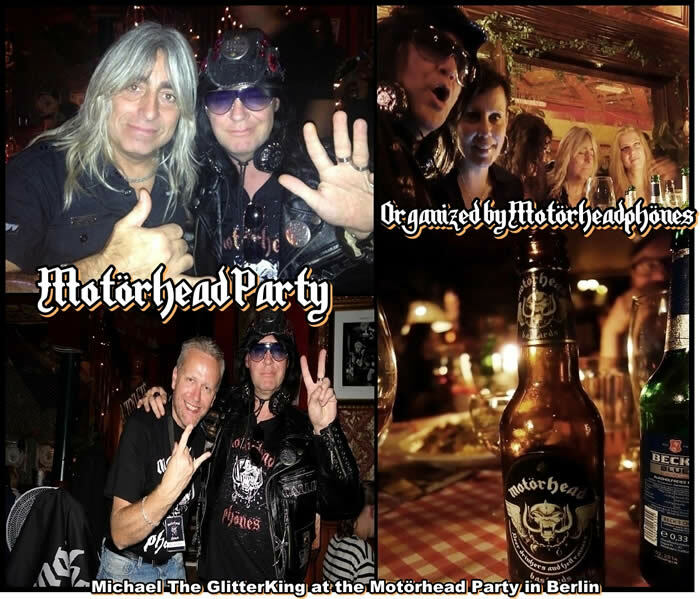 James Kottak ( The Scorpions ) Joe Jackson and others attended the release Party of the Glitterking Song "Sunny Days "
In this Video Kim Wild is using Glitterking`s golden "Dubai Jazz" microphone.